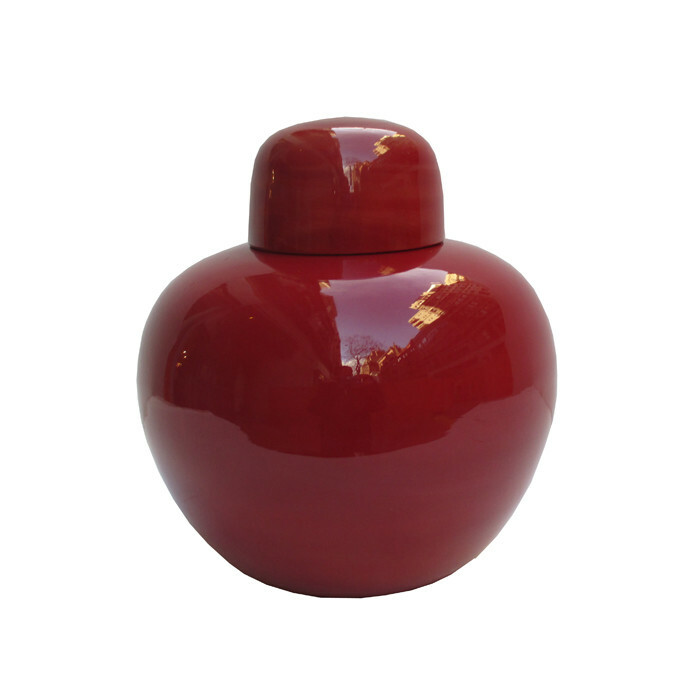 A "Cinese" Italian Art Glass Murano vase with lid designed by by Venini & Co. Cased glass, clear and opaque red. Marked: venini italia. Dimensions: H:9¼ Diameter: 8½ Inches.